Don’t Worry Be Happy is a super popular song that’s been used extensively is popular culture, because of it’s feel-good nature. I would wager that the whistling part is probably the most recognisable whistle tune of all time. Oh, and no, it’s not by Bob Marley J Bobby McFerrin wrote and performed this song. 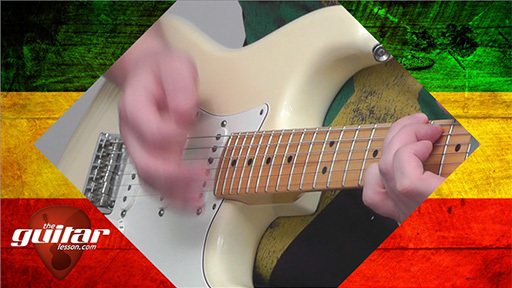 In out video guitar tutorial on Don’t Worry Be Happy, we’ll be learning the chord progression you could use to play rhythm guitar to the song, as well as an interesting reggae strumming style. We’ll start out by learning the chords to the song using a capo. It’ll be a nice simple progression consisting of a few basic chords, which all beginners should know. If you are a bit more advanced, I’ll also teach you how to play the barre chords to Don’t Worry Be Happy, which is useful if you don’t have a capo handy as well. And of course I don’t need to mention that if you are still struggling with barre chords, the more you use them, the easier they’ll get. After we learn the chords, we’ll dive into the heart of the song, the strumming pattern. As I mentioned earlier, we’ll be learning a classic reggae style strumming pattern, where you play on the off beats, so beats 2 and 4 of the measure. If you dig the genre, this song will mean a nice entry into the world of reggae for you. The accenting of strums can be a little confusing at first, but you’ll the chance to play along with me several times during the lesson. I don’t have a backing track for this song, but just hit up the original on youtube, and you can play along with that. 10 time Grammy Awards winner Bobby McFerrin released Don’t Worry Be Happy in 1988. It is an a capella song, which means that there are no instruments used in the song at all. Everything you hear are sounds made by Bobby, overdubbed in the studio. The song's title is taken from a famous quote by Meher Baba, an Indian spiritual master. The song is used frequently in movies and TV shows. Sorry, but you've reached a premium content area. The download of the Don’t Worry Be Happy tablature file is only available to premium members. Sorry, the same goes for the backing track. To download the backing track to Don’t Worry Be Happy, please log in and revisit this page.